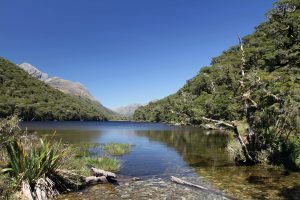 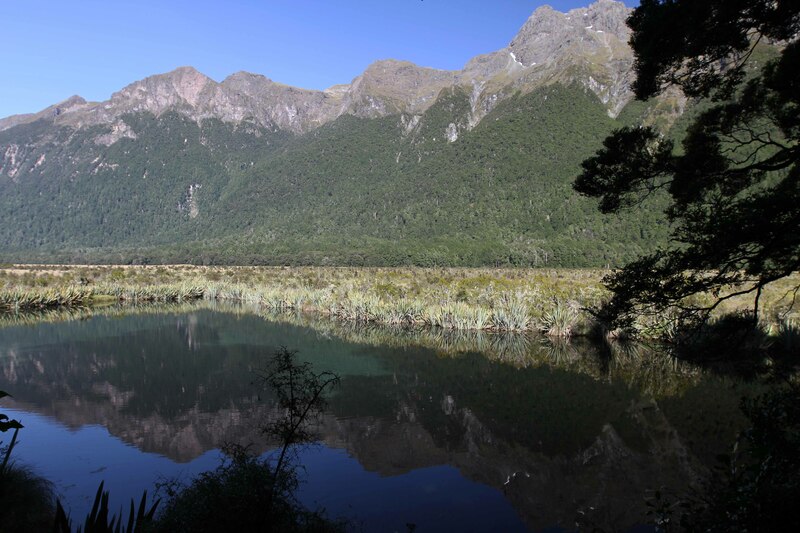 Mirror Lake, seen during a bus stop while traveling from Te Anau to the start of the Routeburn Track at the Divide Shelter. 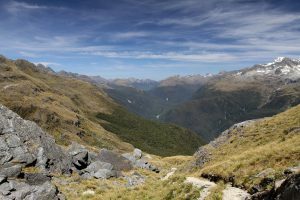 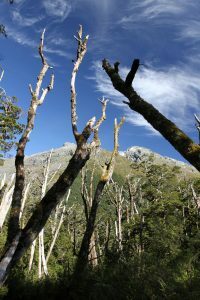 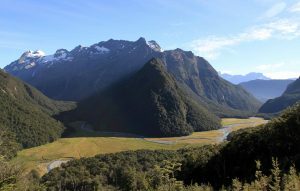 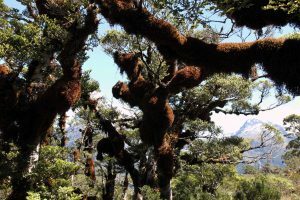 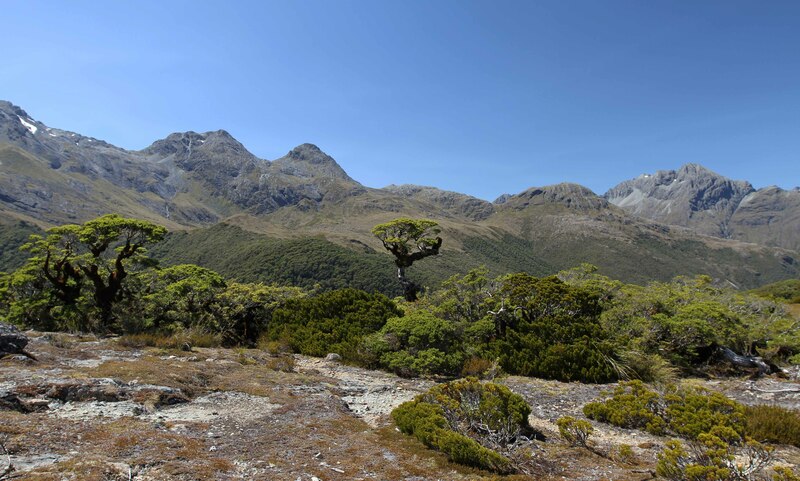 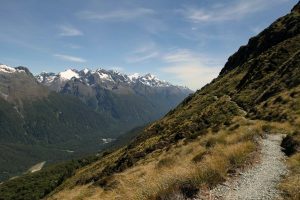 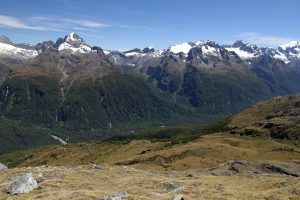 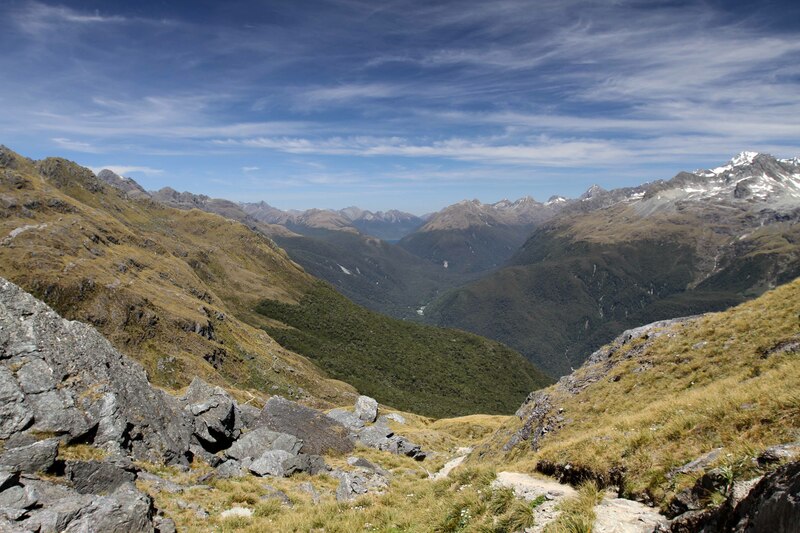 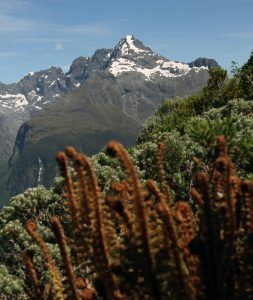 The Darran Mountains seen near the beginning of the Routeburn Track. 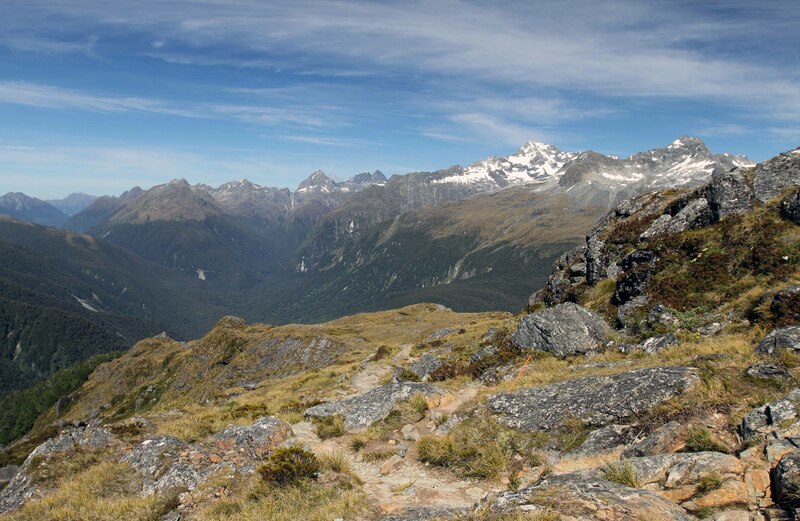 Approaching Key Summit with the Darran Mountains in view. 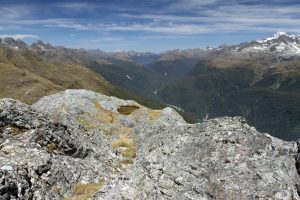 Darran Mountains seen from Key Summit. Another view of the mountains near Key Summit. The Ailsa Mountains seen near Key Summit. 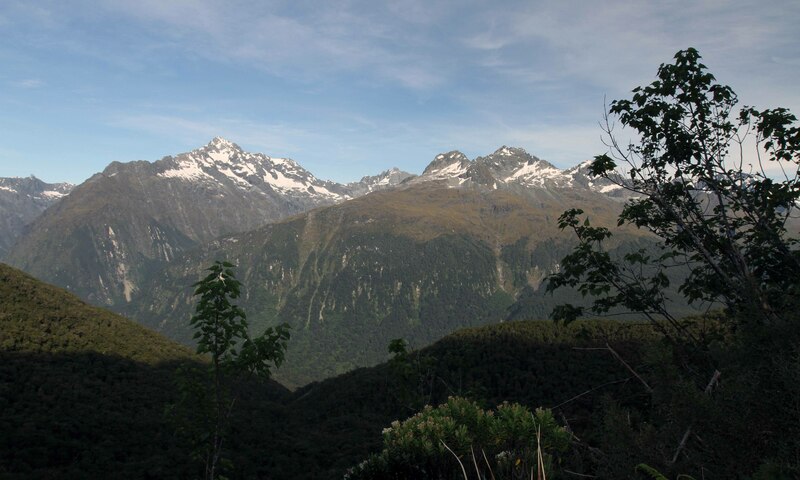 Closeup of Mount Christina (left), the Marian Valley, and Mount Lyttle (right) in the Darran Mountain Range. 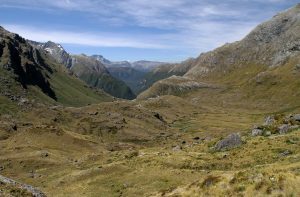 The mountain ranges south-southwest of Key Summit. 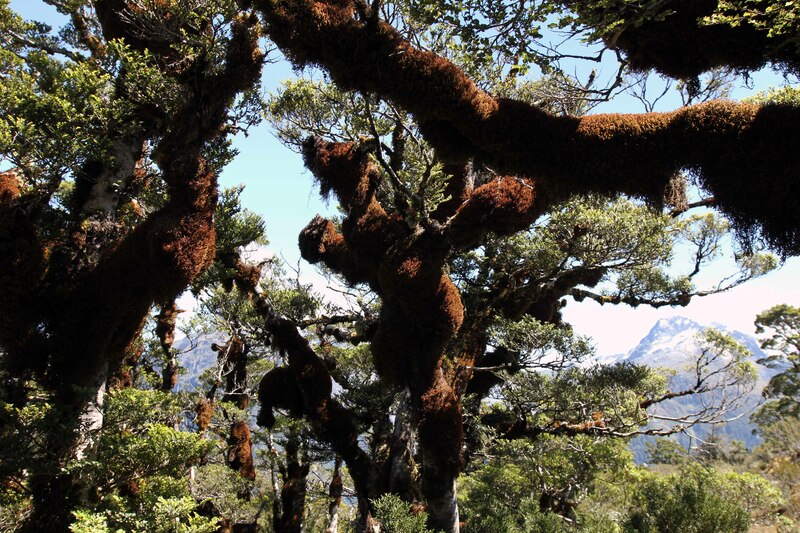 Branches covered in thick moss. 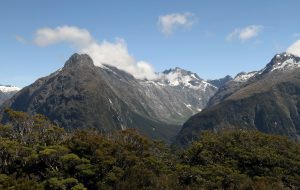 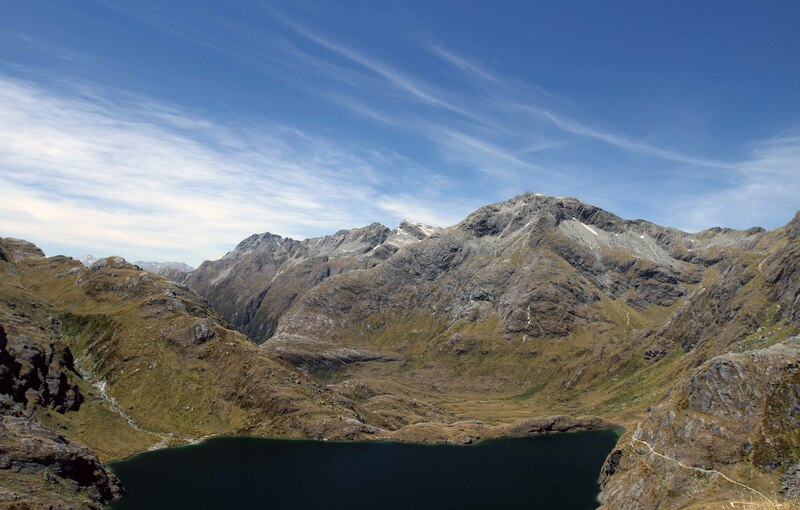 Another view of the mountains south-southwest of the Routeburn trail, near Key Summit. 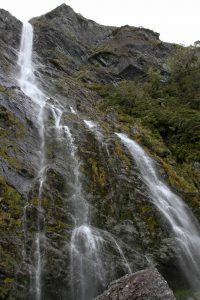 Earland Falls, seen in the early morning. 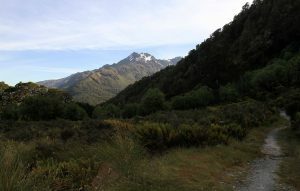 Darran Mountains seen from the trail. 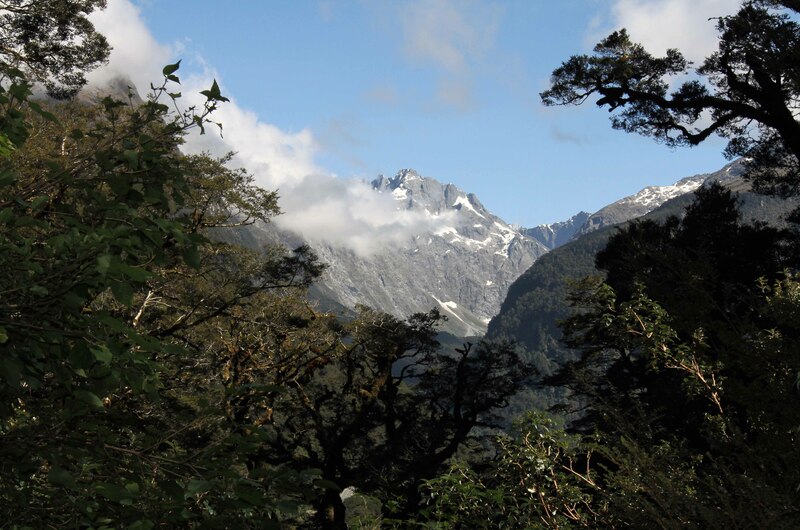 More of the mountains along the Routeburn Track. Looking back at Earland Falls in the distance. 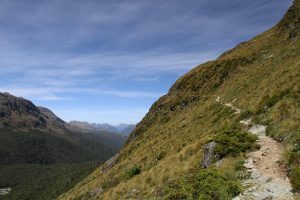 Looking toward Ocean Peak on the trail. Rocks on the edge of Lake Mackenzie. The trail ascending next to Lake Mackenzie, with Emily Pass in the distance. The trail on the edge of a mountain. 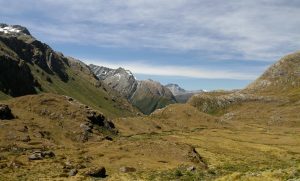 Looking back toward the Divide and the Darran Mountains. 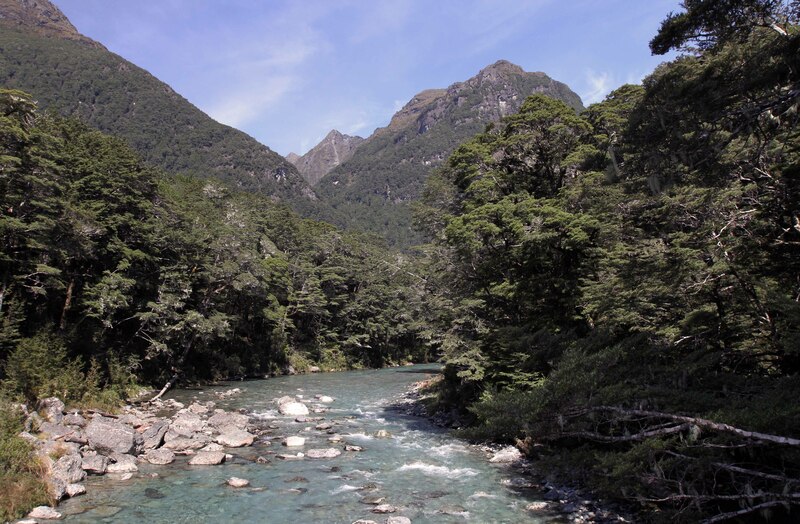 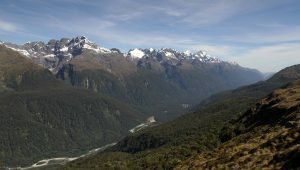 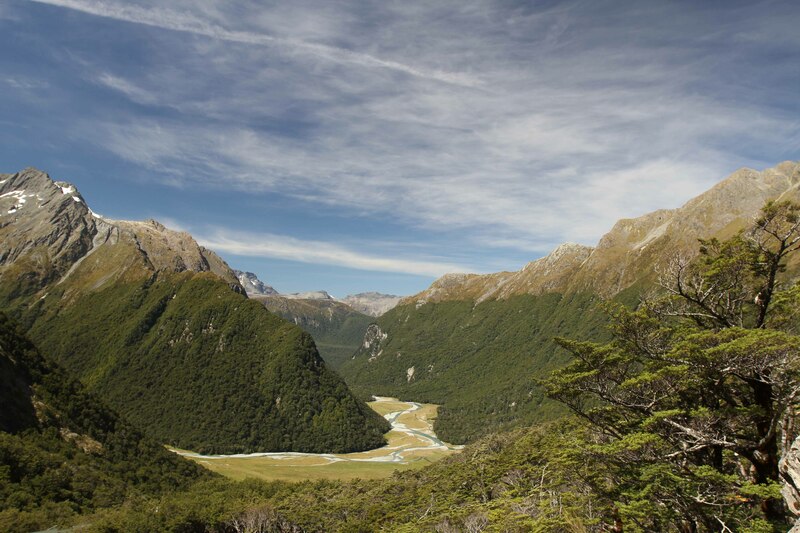 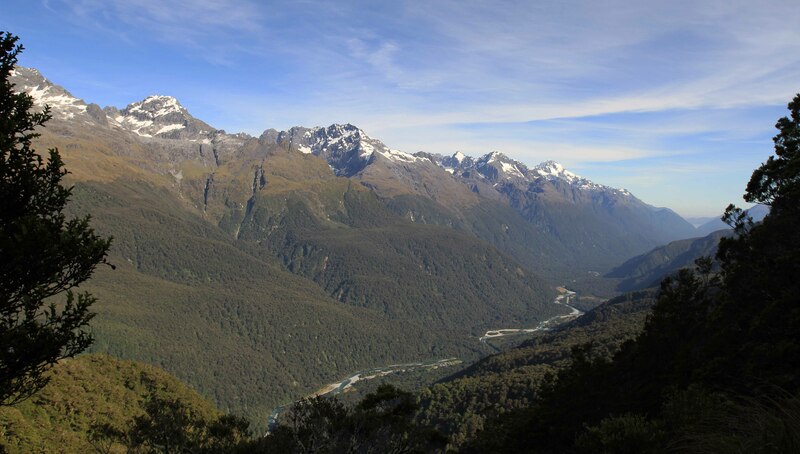 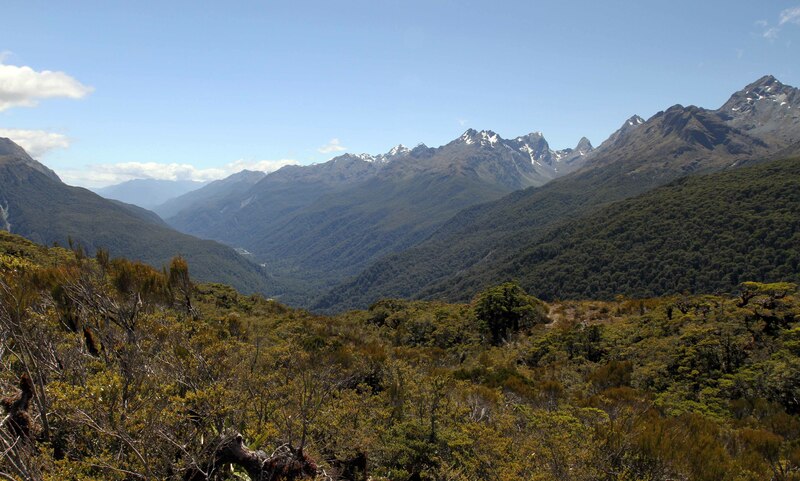 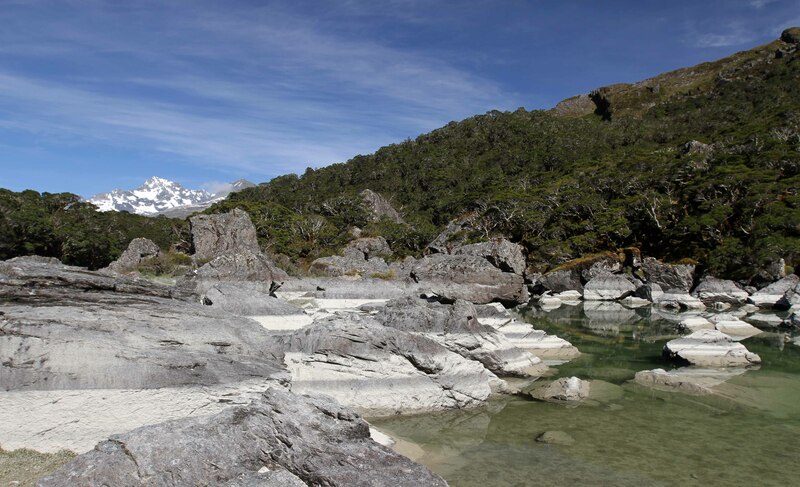 Another view of the Hollyford River Valley. 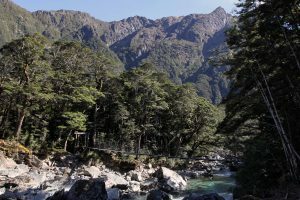 The trail continuing along the eastern side of the Hollyford River Valley. Mount Gifford on the other side of the valley. 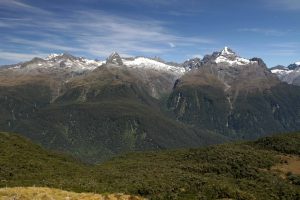 Mounts Lyttle, Gunn, and Gifford (left-to-right) in the Darran Mountain Range. 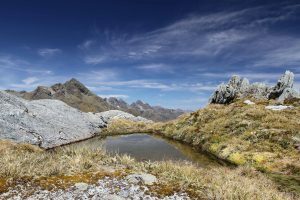 Small ponds of water in the alpine vegetation along the trail, near Conical Hill. 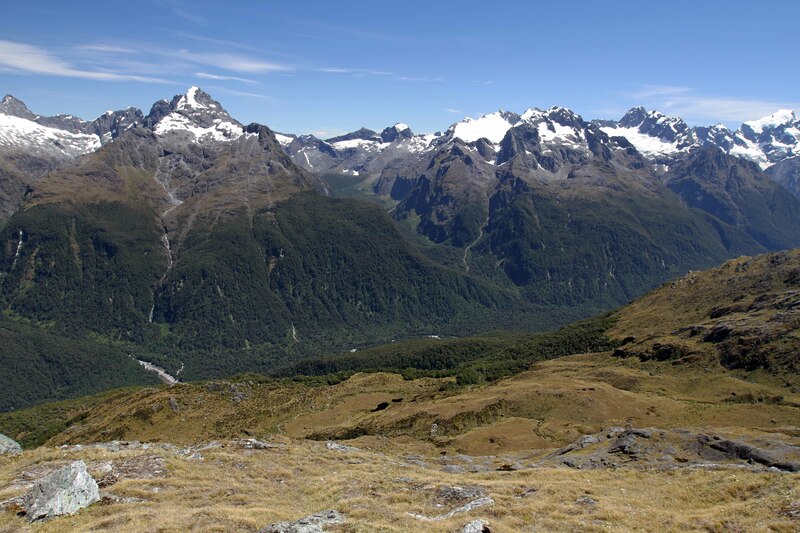 The Darran Mountains seen from Conical Hill. The Divide seen from Conical Hill. Lake Harris seen from Conical Hill. 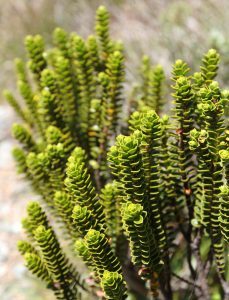 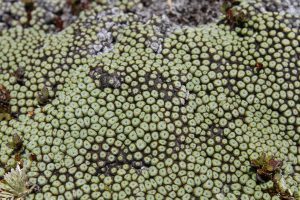 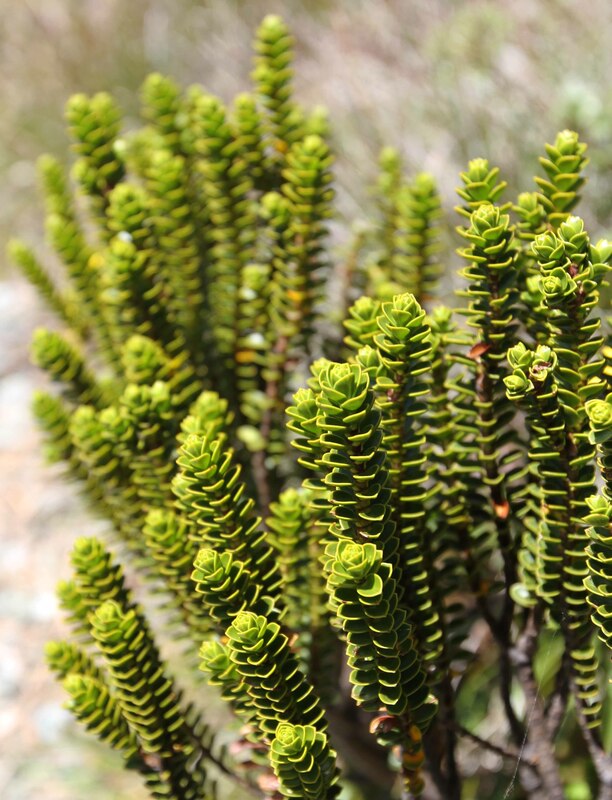 Raoulia, seen amongst the alpine vegetation found along the track. 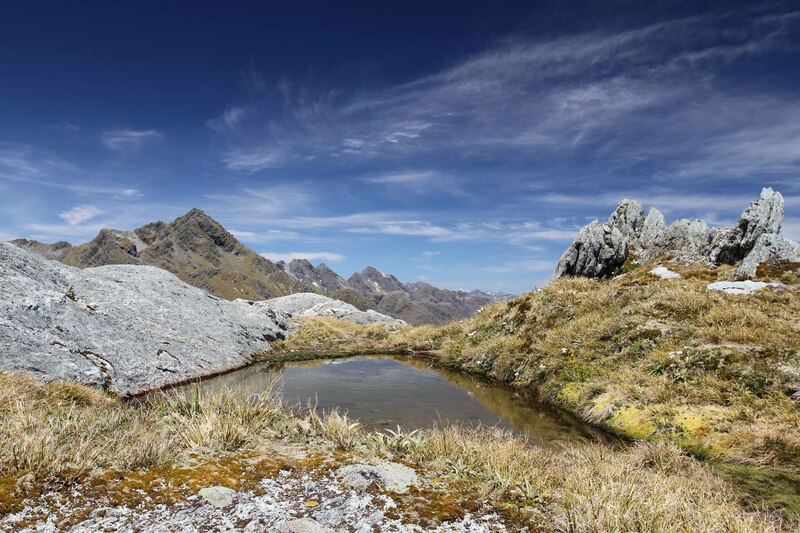 A small pond along the track on Conical Hill.. 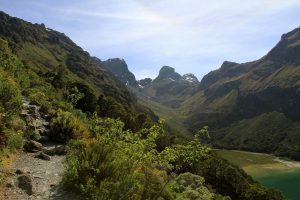 The trail with Mount Xenicus in view (on the right). 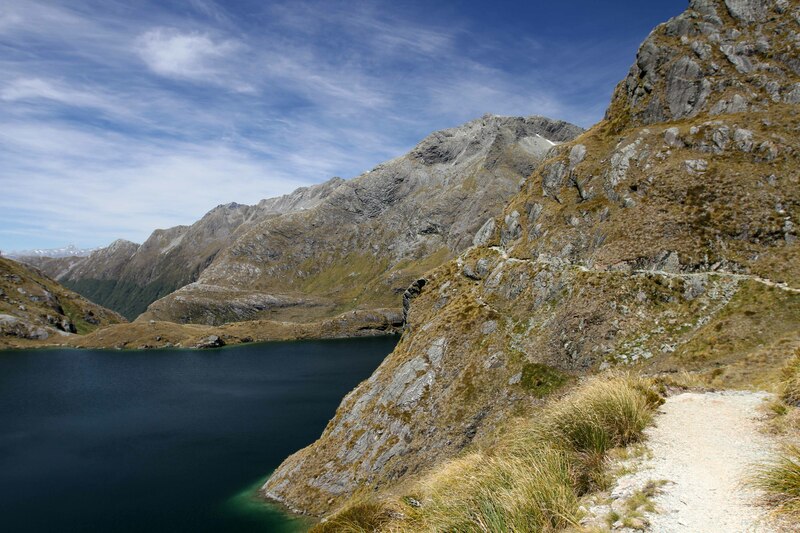 The trail traversing the steep, mountainous edge of Lake Harris. 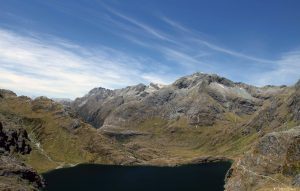 Lake Harris and Mount Xenicus (right). 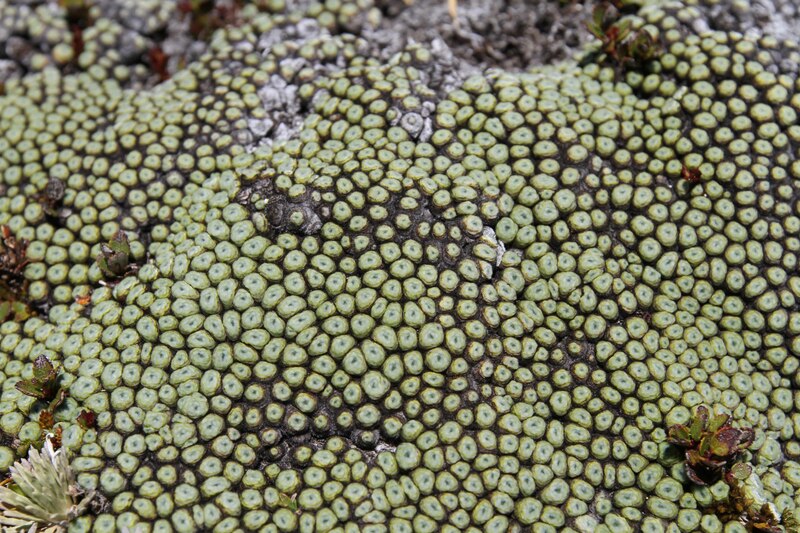 Closeup of a hebe – an alpine plant. 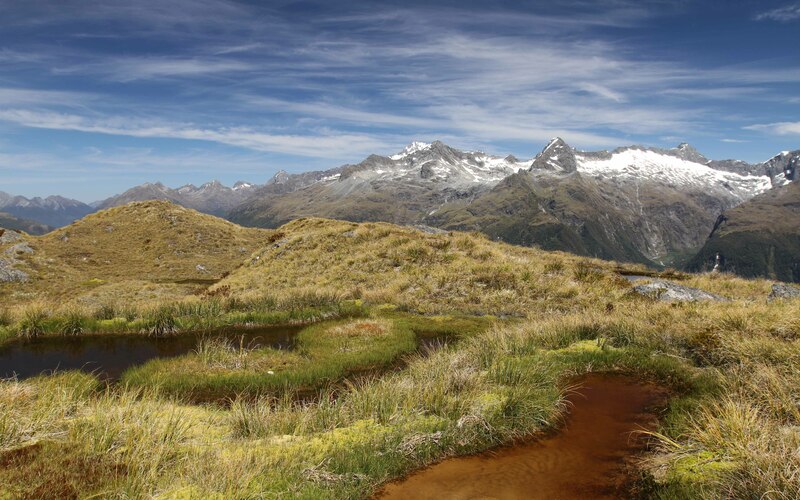 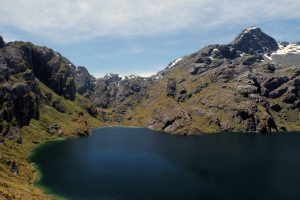 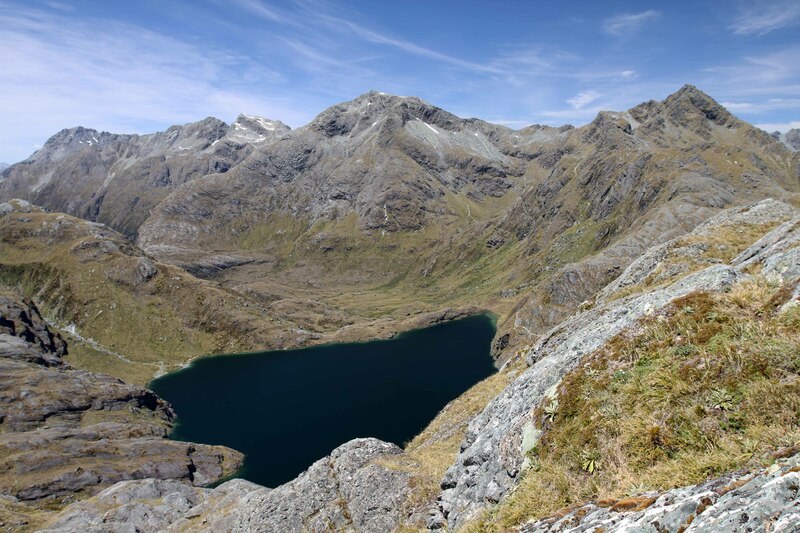 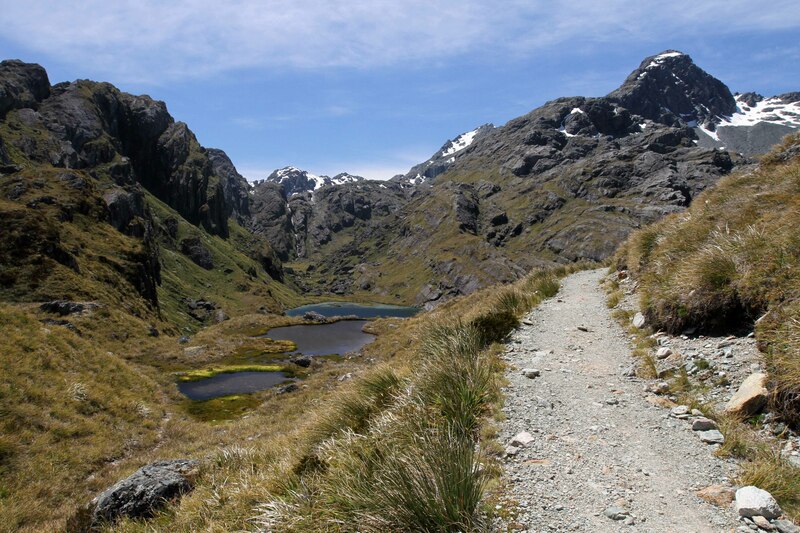 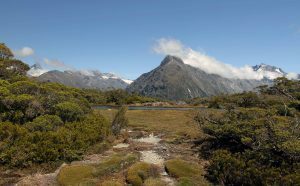 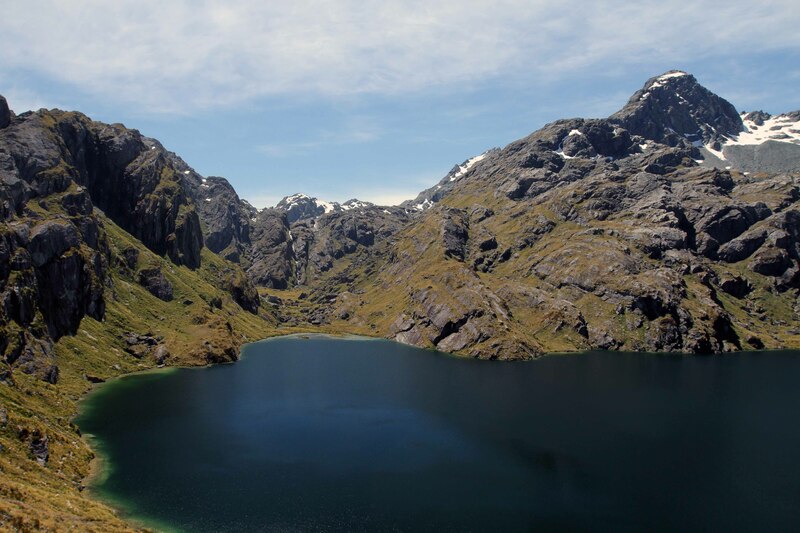 The terrain between Lake Harris and Routeburn Falls Hut. 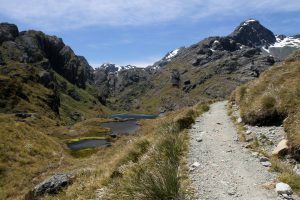 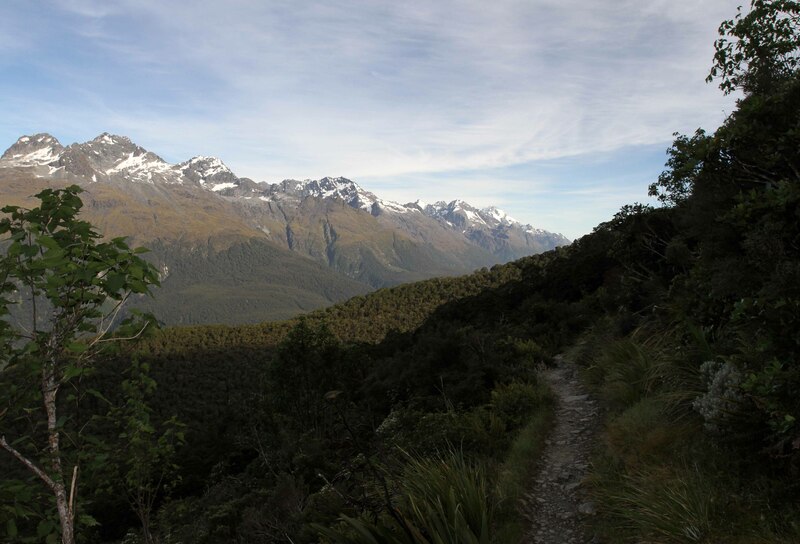 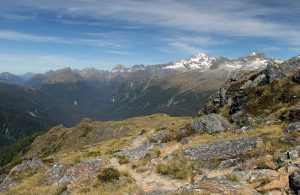 Continuing along the alpine terrain toward Routeburn Falls Hut. 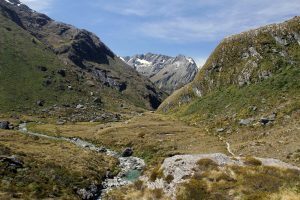 Hiking alongside a creek with Mount Momus in view. 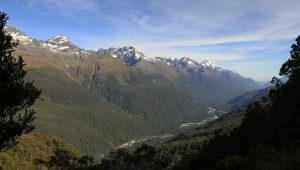 Routeburn Flats, seen from Routeburn Falls Hut. Mount Momus and Routeburn Flats seen from the trail in the early morning. 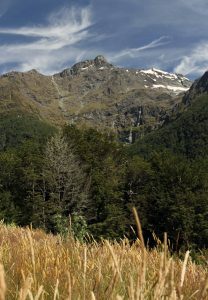 Looking up at the sky from the trail. 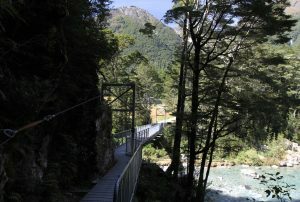 A suspension bridge over the Route Burn (the river that the track is obviously named after). 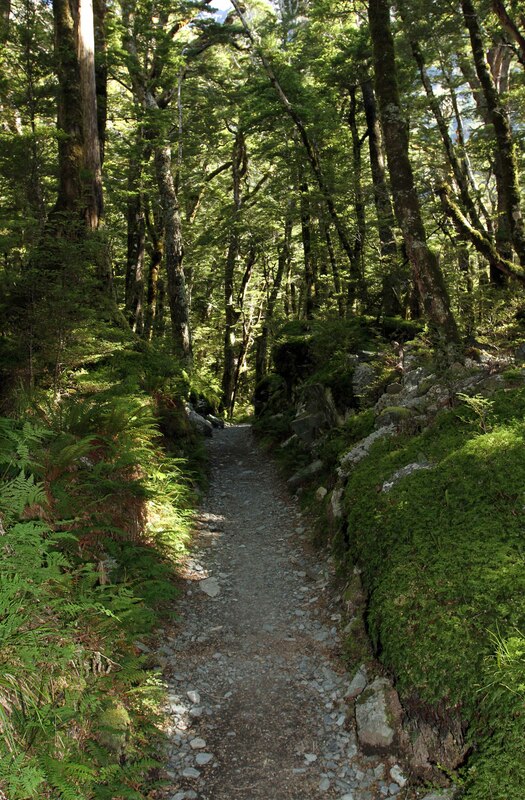 The trail passing through the woods. 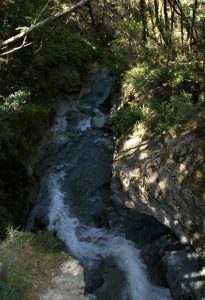 Looking down at a cascade. Bridge at the end of the Routeburn Track. 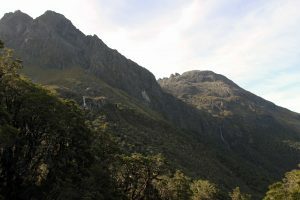 View of the Route Burn. 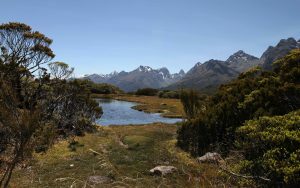 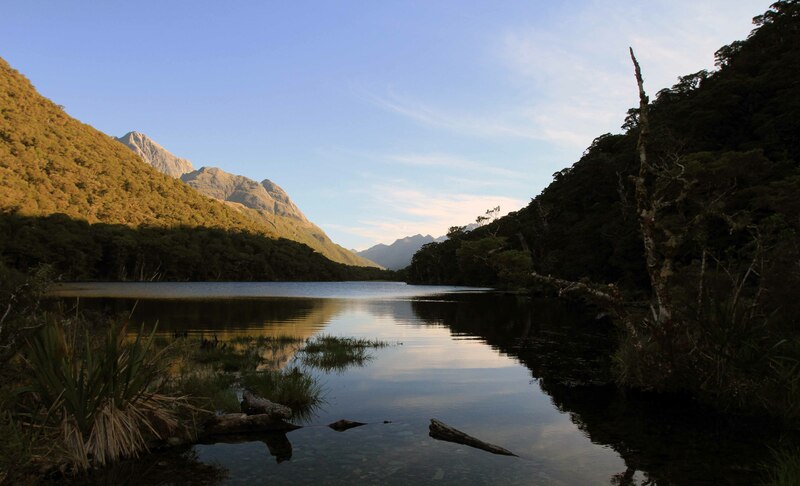 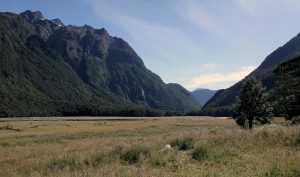 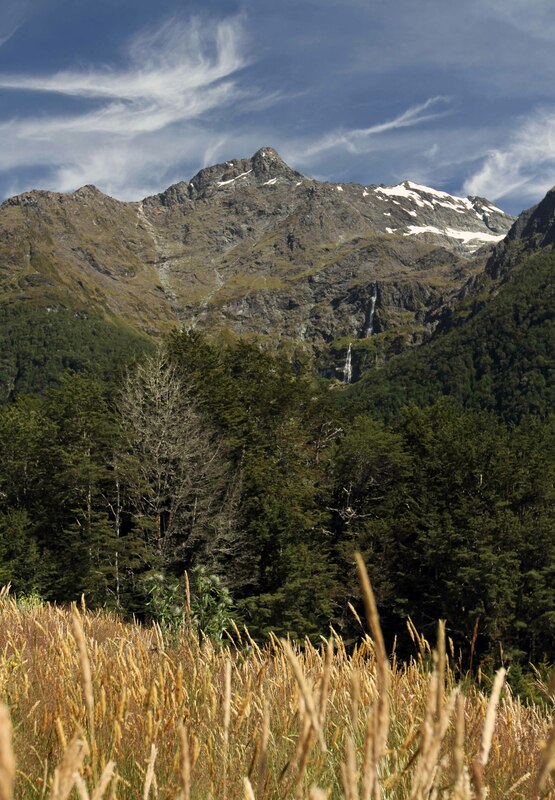 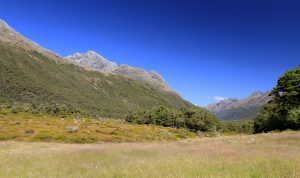 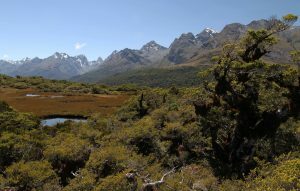 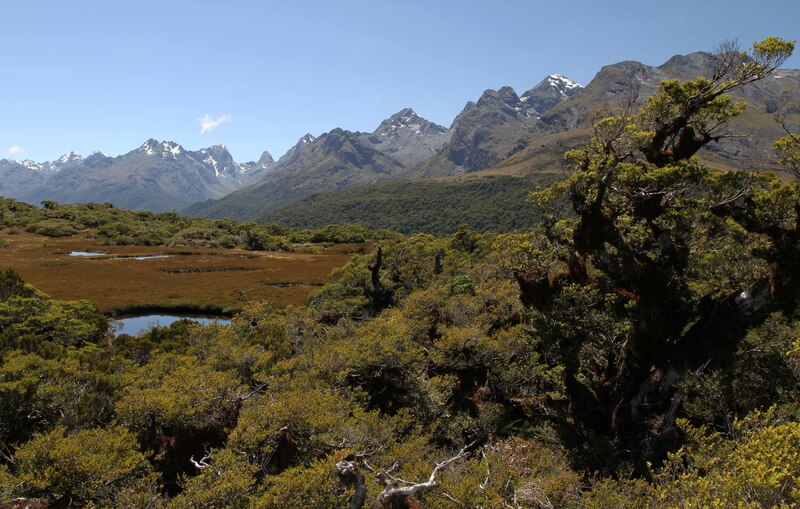 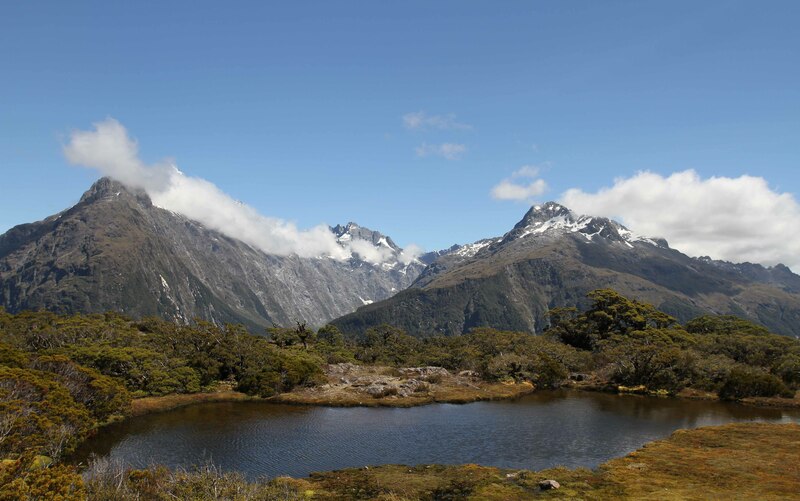 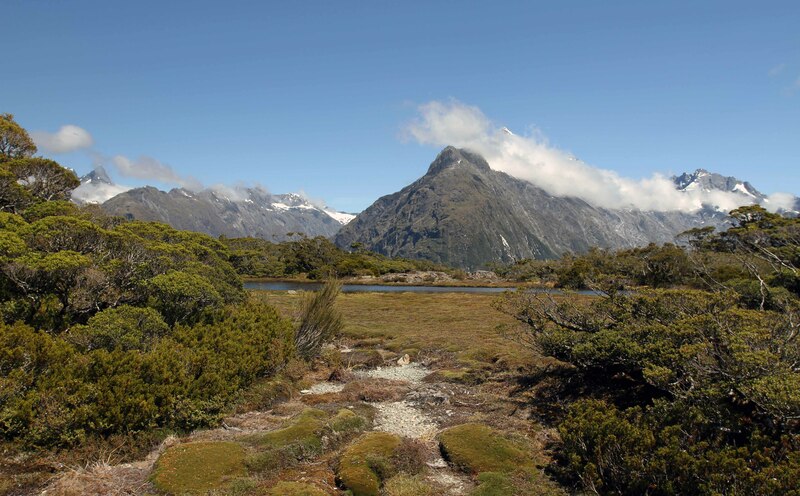 View of the mountains and a waterfall from the meadow at the Routeburn Shelter (located at the terminus of the track).